The consequences of a probation violation are intentionally severe. If convicted, you may face imprisonment, large fines, and other penalties, and it is in your best interests to immediately seek legal counsel. If you have been accused of a probation violation anywhere in Snohomish County or King County, I can help. I am Kirkland probation violation hearing lawyer Schöen Parnell, and I understand how the effects of a probation violation can change your life. I have a reputation for providing aggressive representation to individuals charged with the most serious criminal offenses. I will stand by your side to fight for the best possible resolution on your behalf. When you are on probation, there are specific conditions you must follow to remain in compliance. These can include reporting to your probation officer, enrolling in deferred prosecution treatment programs, paying fines, meeting deadlines, and more. I can advise you of your rights and obligations in regard to your probation status so that you remain in compliance and avoid unnecessary complications. 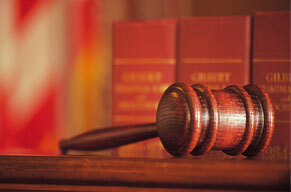 An individual who is convicted of DUI in Washington will be placed on probation for a period of five years. If they are charged with another crime while on probation, they may be charged with a probation violation. I can work pro-actively in probation violation matters prior to the actual hearing, taking steps that may help my clients avoid the consequences of a violation. I am often successful at getting these hearings cancelled before they ever happen. When a violation is found, I frequently succeed in obtaining alternatives to jail time, such as work release or community service, and I am familiar with many other options that can make the consequences of a probation violation more palatable.